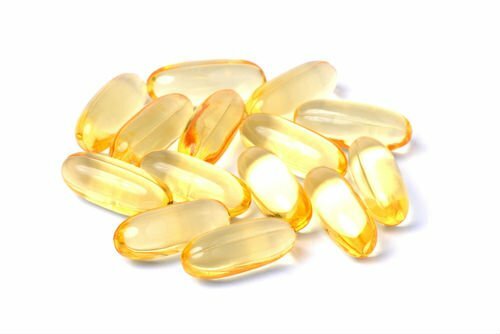 Should You Be Taking Fish Oil? I just got asked about my recovery process. If you didn’t hear, I had three major surgeries mid October to mid December in 2015 to correct long standing cerebral palsy complications. Somewhere around age 12, exercise became my drug of choice. Ever since, I’ve rarely missed a single day. During the surgeries, I had months where I could do nothing. This week was the first time in nearly five months that I’d gotten into all my gear and gone on a mountain bike ride. Mind you, it was pretty short and I can’t push it too hard yet, but – wow. I had forgotten what I’d been missing. I felt so alive and focused. Moving fast, or at least faster, than I had recently. Scanning the terrain ahead, anticipating how to shift my balance, focusing on nothing else. That evening and the following day I felt enthusiasm for everything to a degree that I hadn’t for months. It’s the nature of the human mind to get used to things, good or bad. The downside of our capacity to accommodate is that we can’t always relate to what is outside of our normal experience. Do you remember what joyous, fun movement feels like? It is the best experience imaginable and I lost touch with it after just a few months. When is the last time you had fun doing something physical? I don’t mean going for a walk because you should or time in the gym because you committed to. I mean something you did just for fun. Just because you haven’t felt it lately doesn’t mean you can’t and it doesn’t mean you wouldn’t feel incredible from it. Schedule time in advance. Bring a friend to join you. Have a blast and let me know how it goes. I promise if you try it, you’ll be glad you did.